The Department of Environmental Protection (DEP) published a reissued NPDES General Permit for Discharges of Stormwater Associated with Industrial Activity (PAG-03) on September 24, 2016. DEP also published new requirements for the associated No Exposure Certification. DEP sent out a mass mailing to facilities that currently have a PAG-03 General Permit regarding the reissued permit and changes that have occurred. The Sample Permit document (3850-PM_BCW0083d) can be obtained via DEP’s website and contains the new terms and conditions of the PAG-03 coverage. The following are some of the changes and requirements under the reissued PAG-03 General Permit and associated No Exposure Certification process. Expanded list of discharges not authorized under the reissued PAG-03 General Permit. 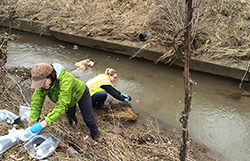 Some facilities may need to file for an Individual NPDES permit. Annual reports will need to be completed each year and will be due May 1. The first annual report will be due May 1, 2017. The report requires stormwater analysis and inspections to be addressed and summarized. Semi-annual Sampling & Electronic Discharge Monitoring Reports (eDMRs) will need to be completed starting January 1, 2017. The first sample will need to be collected January 1, 2017-June 30, 2017 and the eDMR will be due July 28, 2017. The second sample will need to be collected July 1, 2017-December 31, 2017 and the eDMR report will be due January 28, 2018. EDMR registration via PADEP will be necessary by December 21, 2016, if the facility is not already using the eDMR system. Annual fees of $500 will be due by May 1st each year. Benchmark Values for Pollutants & Corrective Action Plans (CAP) – Parameter benchmarks are now established for each facility depending on the appendix they fall under. If two consecutive benchmark exceedances occur for the same parameter at the same discharge point (outfall), a CAP must be developed and submitted to PADEP within 90 days. New and Reorganized Appendices. PADEP has added new sector-specific appendices and eliminated some, resulting in reorganization of appendices. Facilities may fall under a new appendix. 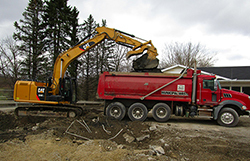 Best Management Practices (BMPs) – some general and sector-specific BMPs were added and revised (see Part C II of permit & the sector-specific appendix applicable to your facility). Facilities will have until September 24, 2017 to implement the BMPs. 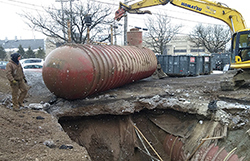 Preparedness, Prevention and Contingency (PPC) Plan – The PPC Plan must describe preventative measures and BMPs that will be implemented under the PAG-03 General Permit to reduce or eliminate pollutants from coming into contact with stormwater. The PPC Plan must be reviewed and updated as needed at least on an annual basis. No Exposures – Facilities with No Exposure Certifications will now need to complete a Notice of Intent (NOI), submit a PPC Plan, $500 filing fee, and collect and analyze at least one grab sample to confirm discharge is non-polluting. Facilities will have to do a renewal for no exposure when their current no exposure expires. Contact Core Environmental Sevices today to discuss the PAG-03 General Permit and/or No Exposure Certification requirements and provide assistance with any of the tasks.